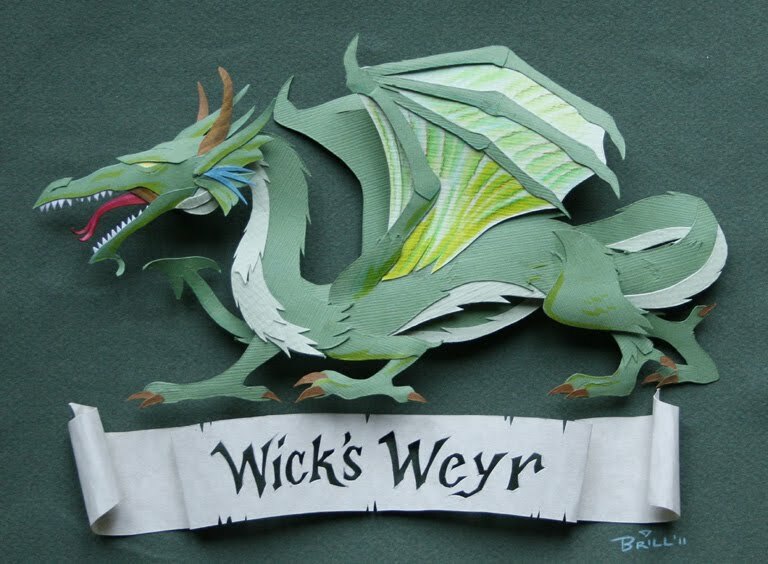 This dragon paper sculpture was done for my mom and step-dad for Christmas. We all share a love of the Anne McCaffrey "Dragonriders of Pern" books, and I had given them a paper sculpture dragon mask I had made for Halloween many years ago and I just really felt like that thing needed to be updated! It's old and bad!! The "Wick's Weyr" title which I cut out of the scroll is in reference to a combination of their last name, (Wickwire) and the Dragonrider books, where the dragons live in 'weyrs'. They had given this name to a boat they had owned a long time ago which was ultimately destroyed in a marina fire. I figured the name could also refer to the house, because, as the McCaffrey books often explain, "A weyr is where your dragon is!" As an added cute element, I didn't gift wrap them, but instead put them in those folded, paper Chinese food boxes with a bow on top! Turned out very cute. I think they both enjoyed the final pieces, and hopefully they will look good on their tree in years to come. 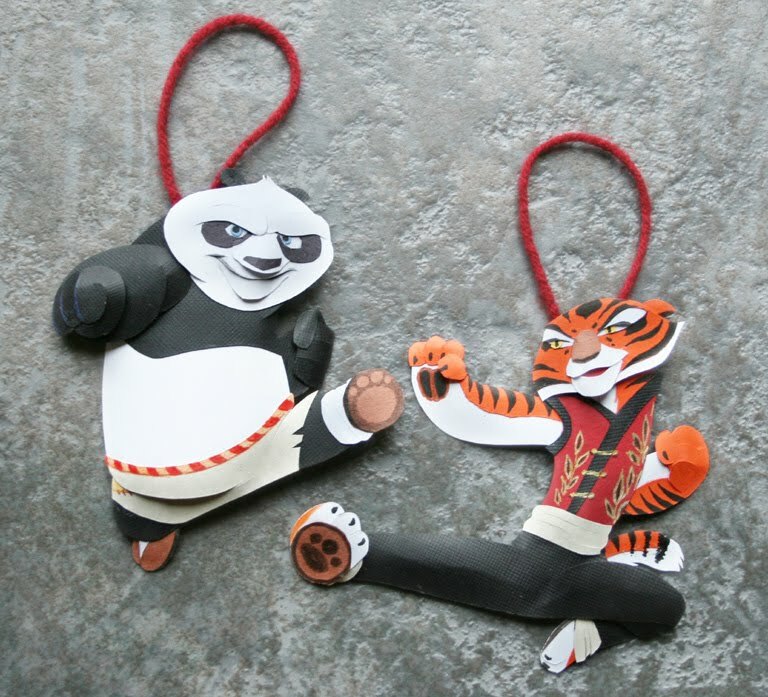 More paper sculptures are coming to the blog--I've actually done quite a lot of that lately! Happy Holidays everyone!